Green landscaping stacks functions and benefits. 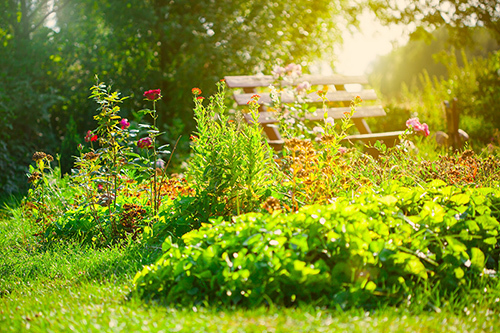 Through recycling water, reducing inputs, and planting for low maintenance, you’ll cut down your workload and maintain a gorgeous, environmentally friendly yard. 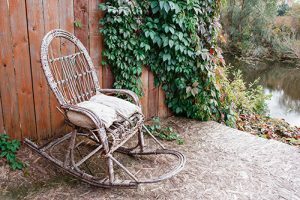 Here are a few tips from Groby Landscapes on how to make your garden greener. Nature doesn’t plant just one thing and neither should you. Different plants share and exchange nutrients in the soil, so companion planting will help maintain landscape health. Integrate many different plants with different functions in mind into your garden design. Hummingbirds and bumblebees like different colours of flowers. Planting variety will ensure a healthy ecosystem of plants and insects. Diversity protects your trees and bushes from pests by attracting predators. Forest gardening is the new green landscaping. Instead of limiting your greenery to the edges of your yard, utilize as much of it as possible and think vertically. A grape vine planted over a patio provides fruit and shade in the summer heat. It sheds its leaves in winter letting warmth and light through. Plant in layers with flowering fruit trees and climbing vines. Packing plants together to create a canopy protects soil from becoming exposed. They drop their foliage each year adding a layer of organic matter as mulch. It keeps weeds down and provides habitat for insects and ground birds. Don’t fight dandy lions. The days of golf-course-like lawns are gone, to be replaced with mow-able meadows. Many common lawn weeds are beneficial species that bring up nutrients from deep in the soil and attract pollinators. After adopting the mow-able meadow technique, you’ll be making seed mixtures to throw into your yard. Clovers add nitrogen and herbs emit pleasant aromas. Water is a rapidly depleting resource. Green designs focus on planting drought tolerant species and keeping the soil covered with mulch. Ask about having storm drains routed to direct water into your landscape, making use of waste water. Use the roofs of yard structures, like sheds and awnings, to capture rainwater and store it in barrels or even a pond for later use. You can have green landscaping whether you’re working with a vast open lawn or an urban patio. Incorporate a diversity of species to attract wildlife. Capture and retain all the water than you can through mulching and water direction. You will have a low maintenance, environmentally friendly landscape that is beautiful.